Baahubali 2, Arjun Reddy, Rangasthalam —There comes a moment in every actor’s career where s/he does something which changes our perception about them. There is a tipping point which actors often fail to reach time and again. But once they reach that, they find a pandora’s box that's filled with unfulfilled promises, expectations, and hope. It's at this juncture, that you desperately wish that actor will rise above his own shortcomings to unleash some sort of a magic spell, which heals your scars from the past. With Bharat Ane Nenu, Mahesh Babu not only crosses the tipping point but also breaks open the pandora’s box and burns the unfulfilled promises to ashes, to show why he’s such a fine actor. You can’t take your eyes off when he’s on screen pulling off his role with utmost sincerity and conviction. You might go gaga over his looks, but the most charming thing about Mahesh Babu in this film, in particular, is that there’s an air of confidence he exudes. He’s in full control of what he’s doing. Mahesh Babu in Bharat Ane Nenu. 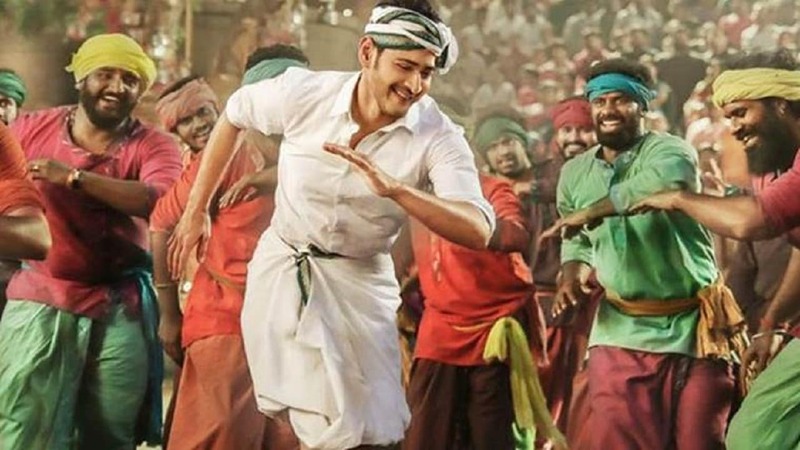 The film follows the journey of Bharat Ram (Mahesh Babu), an Oxford grad, who’s suddenly pushed into the political world following the death of his father, who also happens to be CM of Andhra Pradesh. Bharat is forced to step into his father’s shoes, and slowly he begins to reform the whole system, one department at a time. The outline of the story might sound familiar to few other political dramas like Leader or Mudhalvan (Oke Okkadu), but Koratala Siva, who wrote and directed the film, is smart enough to steer the ship into a different direction. And while doing so, he channelises Mahesh Babu’s terrific screen presence into creating a meaningful drama which is both engrossing and thought-provoking. If I could draw an analogy, watching Koratala Siva’s films feel (feels) a bit (like) going to the gym or like running a marathon. The task looks daunting, and after a point, you begin to wonder if you’ve the energy and patience left to cross the finish line. By the time you reach the destination, you realise that you loved the whole journey, much to your surprise. Bharat Ane Nenu is no different. It takes its own sweet time to set up its characters and the political atmosphere which becomes a breeding ground for conflict and issues that the film tries to address. Koratala Siva knows, rather too well, when to pull the strings, and there are particular moments in the story which turn into flash points for the lead character to unleash his emotional burden. Take the ‘press meet’ scene for instance - prior to the scene, Koratala Siva builds the drama slowly, and when Mahesh Babu begins addressing the media, the outburst is explosive enough to give you goosebumps. The underlying message and drama of the scene is even more relevant when you juxtapose it with the cacophony of controversies these days in media. Throughout the film, there’s no sense of urgency and quite evidently, Koratala Siva lets the audience soak themselves with everything he has written. As a result, even a scene featuring an unnamed farmer or a villager is treated with the same respect and importance as that of a scene featuring Mahesh Babu. Here, the story is bigger than its hero. This sort of narrative style has pretty much been consistent in Koratala Siva’s filmography so far, and the director treats the story as a set of building blocks. It’s only in the second half that you truly begin to understand the depth in his writing and how he strips every scene to its bare essentials to focus on conflict and the simmering tension between two characters. Kortala Siva's dense writing meets its perfect match in Mahesh Babu who elevates the film to a different level with his intense performance. “I’m not done yet, sir,” he says, in the middle of a scene. He might very well be addressing us in that moment. Kiara Advani shines in a brief but nuanced character, and she becomes the emotional anchor in the story. The chemistry between Mahesh and Kiara is a treat to watch, and in a lot of scenes, they barely speak a sentence to each other. Among other actors, Prakash Raj does full justice to his role, while Rahul Ramakrishna makes a solid impression in a supporting role. Koratala Siva’s vision of a political world is well complemented by the film’s cinematographers - Ravi K Chandran and Thiru, whose visual style accentuates the impact of the lead character’s journey. DSP hits it out of the park yet again with his rousing background score, which is both regal and classy. At the end of the day, watching a Koratala Siva’s film feels like reading a book. He has consistently proven to be a good storyteller, and with Bharat Ane Nenu, he has shown yet again that there’s plenty of drama when a normal guy takes an uncommon path. Bharat might have become the messiah of the state in the story, but it’s Mahesh Babu who leaves a long lasting impression in the end. Two big thumbs up for the film. It delivers more than what it promises.